My speciality is the production of Japanese swords in a traditional way. 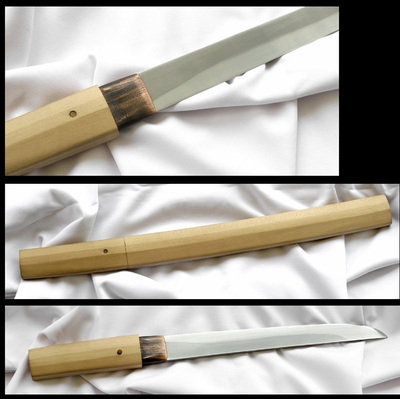 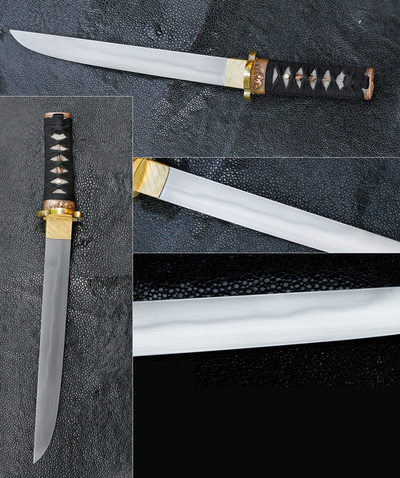 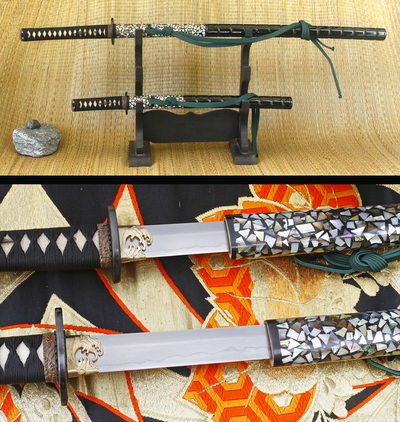 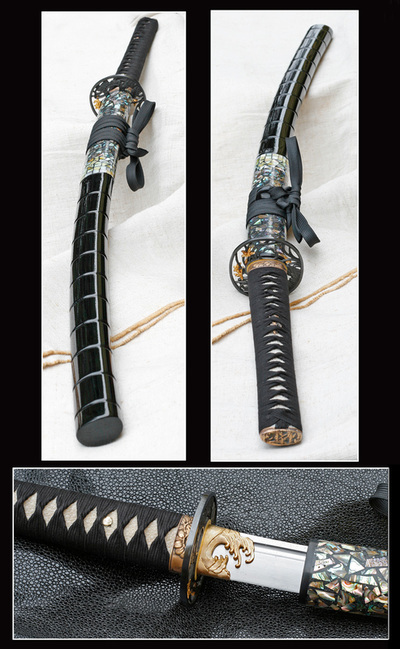 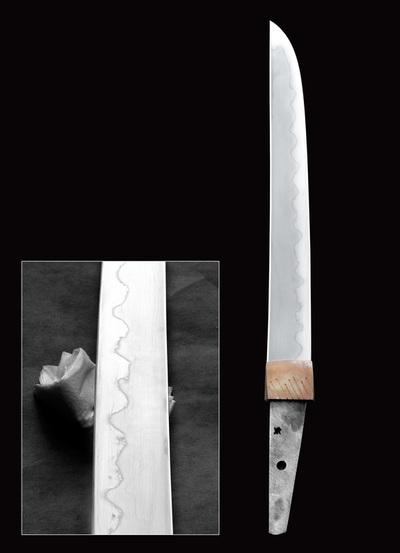 The blade can be made of S80, S90 and Damascus-steel (in this case the minimum layer number is 15 000) and also from Japanese tamahagene. 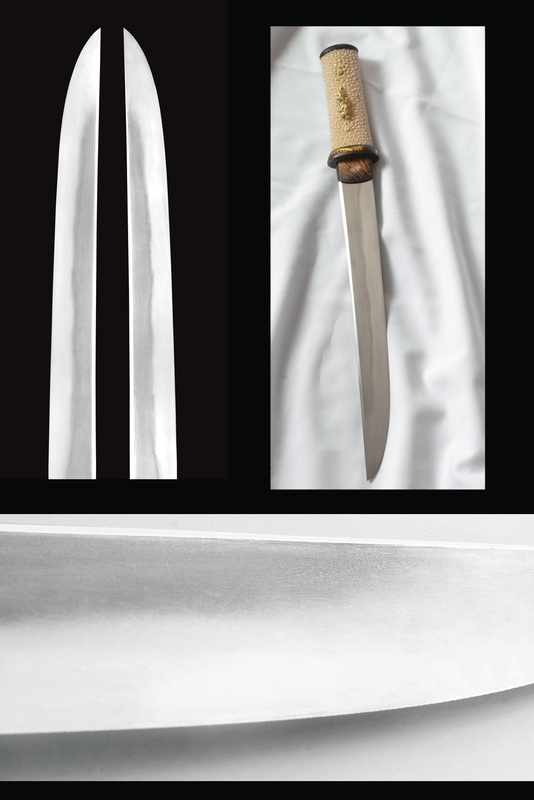 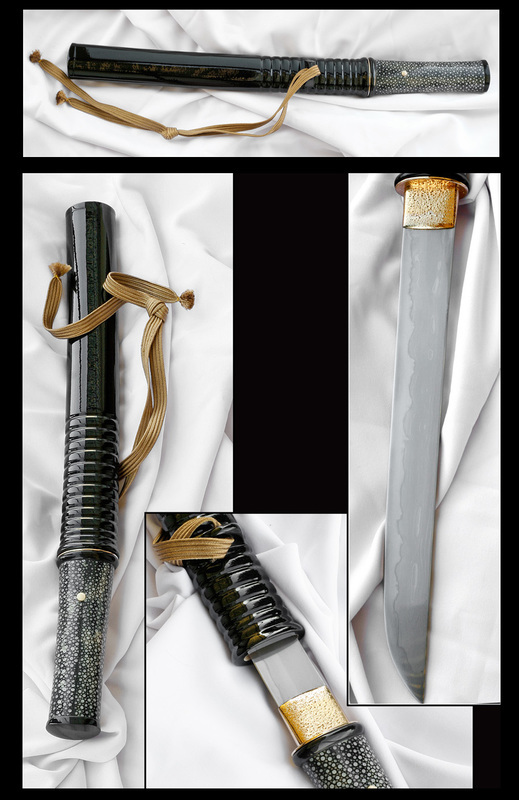 The hardening is made with clay tempering method, and a sword with a hamon is the result of many years of experimentation and practising. 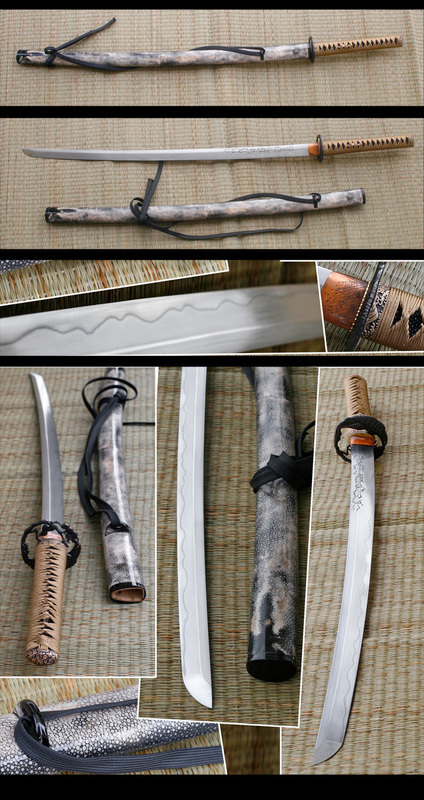 I make katana, wakizashi and tanto from mono (S80, S90) steel with the same method as well. Hilts and scabbards are also made in a traditional Japanese way. 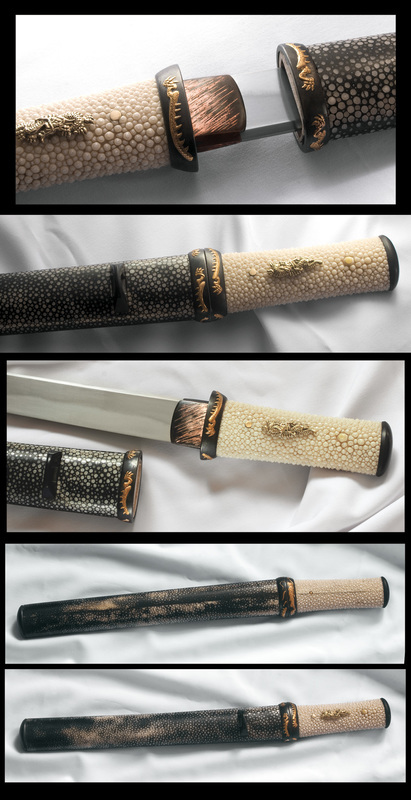 The scabbard is ray leather in each case (covered with Japanese silk cord), the shape and the cover of the knife sheath (ray skin, pearl inlay) and the colour of the lacquering can be chosen. 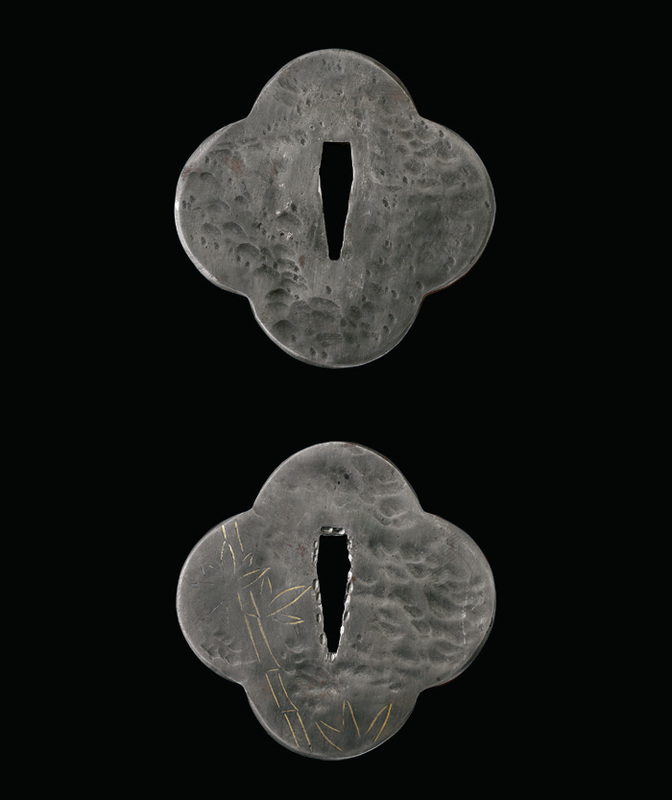 The tsuba can be the moulding copy of the original pieces, or it can be made of unique, non-series iron or copper alloy. The fuchi, kashira, menuki can also be after cast but can also be made by a professional goldsmith.